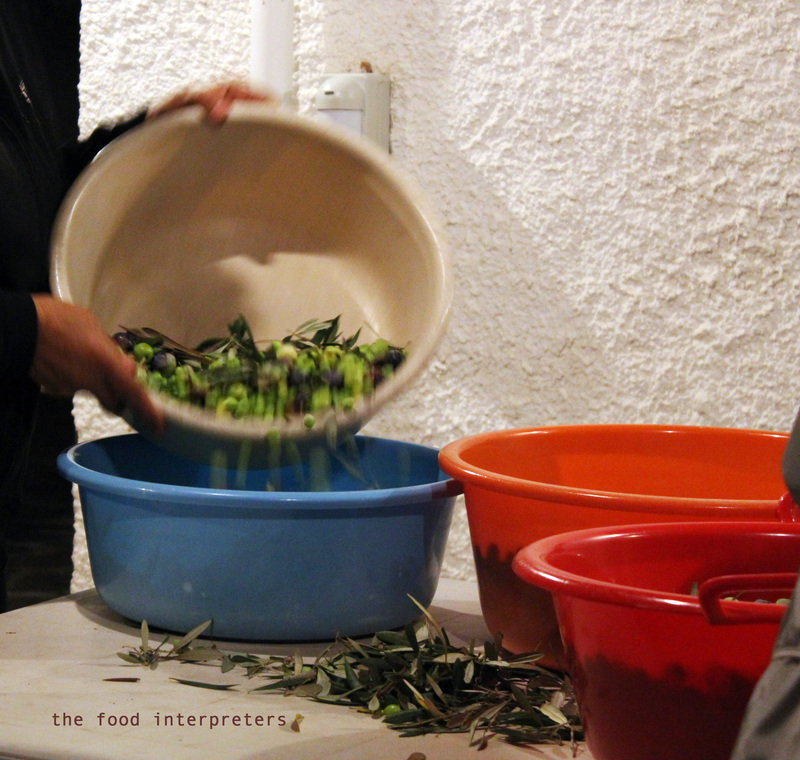 Every autumn Popi recruits workers, volunteers and semi-volunteers to harvest the olives. When it comes to olive oil she is a perfectionist. 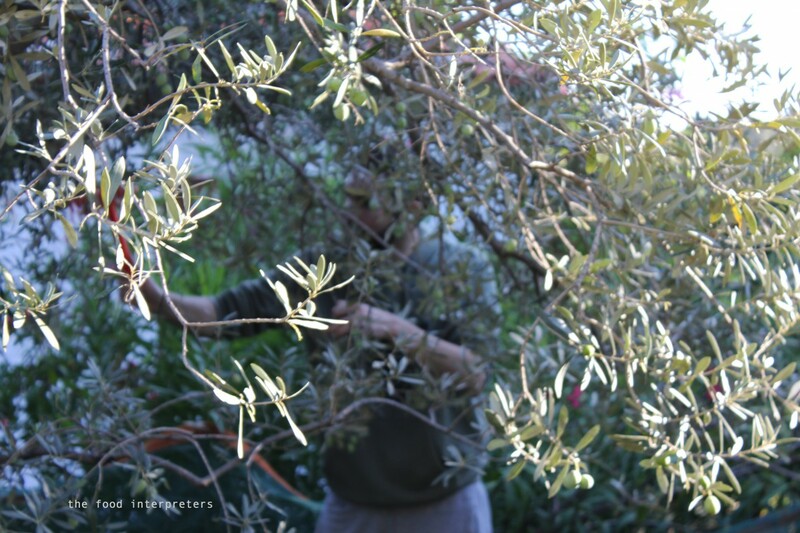 The green olives have to be combed down from the trees gently, inspected one-by-one and carried to the oil press within a strict schedule. 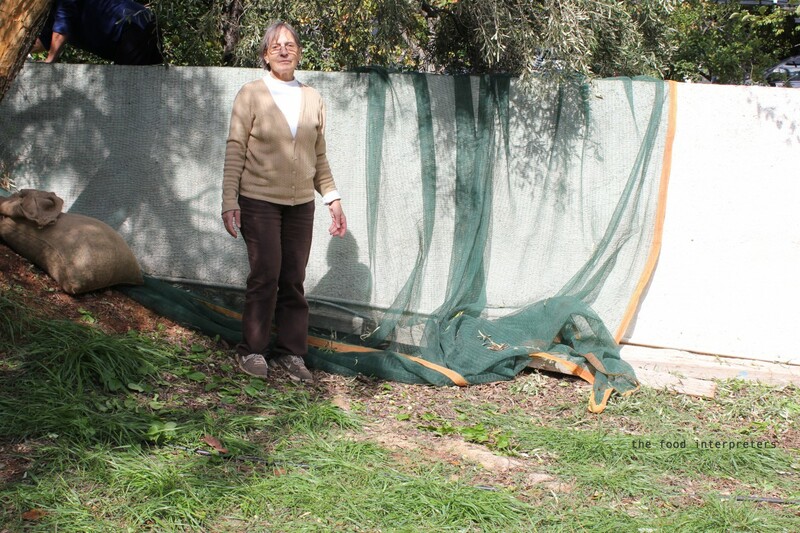 Luckily for all in the last years she has settled for one of the presses half an hour drive away, a big improvement over the long drives of the past, when she had confronted and discarded every facility in the prefecture. This year someone suggested to use harvest machines for speed. When we arrived the device was flat on the ground, Popi looking down to it in disgust and explaining that is was a really bad idea, the way it hurt the fruit. 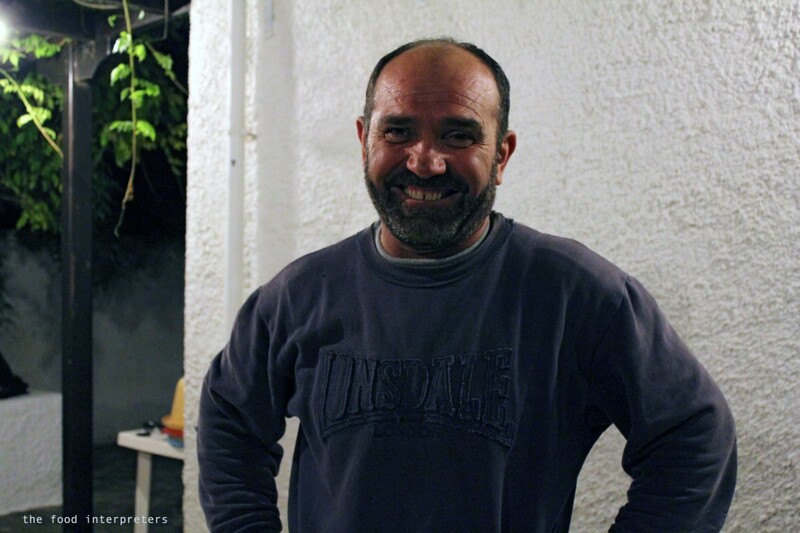 Popi goes around, inspecting how all are performing, and explaining what great fun it is to gather the olives: ‘It is not at all tiring, only a great opportunity to exercise, and that only for the first day, then it is not even a challenge’. As sunset approaches she intensifies her rounds of disks full of meatballs and small cheese pies. It is time to pause and stare down the slope at all the autumn shades of green and blue, up to the sea. 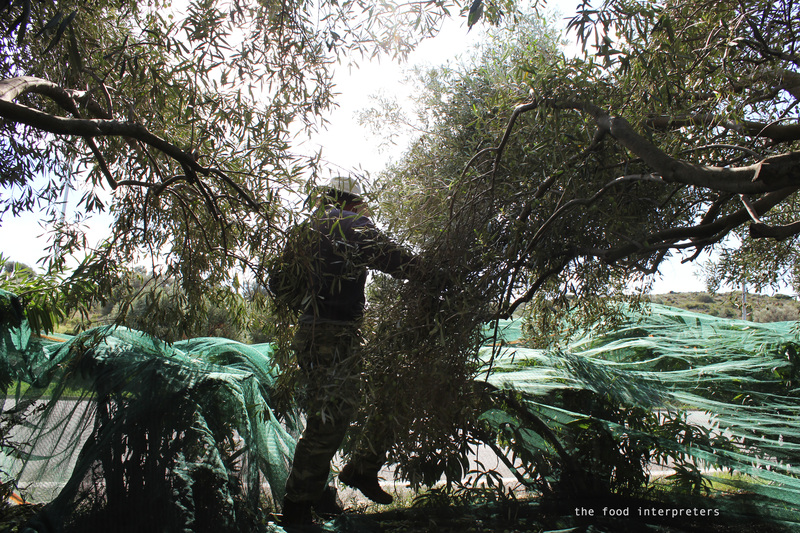 Then it is gathering the olives from the nets, discarding what does not pass quality control and loading them to the track that brings them to the press. This year it all went smoothly. The last act is dinner. Young oil with salt and oregano on hot bread slices. Big trays from the oven, wine from Messogia and the first oranges of the season. Well done Popi.